Wednesday, March 2, 2016, starting at 11.00, elderly students and young volunteers who wish to join our team, are invited to the launching event of the new series of language training and digital literacy of the Seniors Academy. We will also discuss about the importance of adapting the curricula to the present needs of the students, but also to the new technologies in the field of computers and mobile phones. To register, access the appropriate form below. 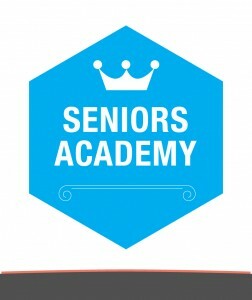 More information about this intergenerational program are available on the project page Senior Academy.